Nearly 30% of Singapore’s entire workforce—around one million people—are low-waged migrant workers from the developing world; chiefly Malaysia, China, Bangladesh, India, Philippines, and Indonesia. Despite their massive presence, Singapore’s migrant workers are under-studied. This, in itself, is shocking. If we did not know about one-third of our armed forces, our army would be in a terrible state. If one-third of our public transport system regularly failed, surely its managers would be fired. Yet we accept a state of affairs where we know very little about the lives of one million people in Singapore. One main reason behind this lack of understanding are cultural and structural issues that prevent academia and non-governmental organisations (NGOs) from effectively collaborating on research. I have been able to straddle these worlds, as an Assistant Professor of Sociology at Singapore Management University and one of three research coordinators for the research subcommittee of Transient Workers Count Too (TWC2), a migrant worker NGO in Singapore. Over the last four-and-a-half years I led studies that conducted quantitative surveys of over 2,000 migrant workers, and qualitative interviews with over 300 workers. These have been published in several policy reports and academic papers dealing with mental health, workplace injuries, and the general working and living conditions of low-wage migrant workers in Singapore. I have seen this academia-NGO divide first hand. How can we resolve it? Make explicit agreements based on simple rules. Start a dialogue about effective research. We need to start by being honest about the different cultures which academics and NGOs have—both in general and around research. If I may generalise and stereotype a little: there is a perception among many academics of NGOs being staffed by people who want to shout and appeal to emotion before facts and logical argument. There is a frustration that NGOs are not meticulous about all their research. There is a fear that NGOs are focused on results and social justice, but not necessarily the truth. There is often a feeling that NGOs can ask academics to take on lost causes. There is a sense that NGOs do not understand how much an academic might be sacrificing by associating themselves with an NGO, and also a sense that NGOs are not respectful of boundaries that academics set, putting key relationships with other policy players in jeopardy. With respect to this clash of cultures, the main thing we need to do is simply to acknowledge them. Conversely, for many NGO people, their perception and lived experience can be of academics as people who are often too detached from very pressing social issues. There is a sense that academics lack empathy with the immense and immediate suffering of migrant workers. They are seen as parachuting in, behaving like experts, talking down to officials and unpaid volunteers. They are often seen as taking a lot from migrant workers and their NGOs, and not giving migrant workers or NGOs much in return. NGOs often see academics as people who want to keep up good relations with government officials, even if it means compromising on principles. The desire of academics to be disinterested and avoid advocacy is often seen as a delusion academics tell themselves so as to not get offside with the powers that be. But when the issues involved are the immediate suffering of migrant workers, and issues for which NGOs see a clear right and wrong side, such equivocating is seen as complicity, if not outright betrayal. With respect to this clash of cultures, the main thing we need to do is simply to acknowledge them. Acknowledge that there are many truths in both perspectives. That many of these perspectives are born from real experiences and real wounds from bad collaborations or disillusionment from watching at a distance. Stereotypes and prejudice can only be overcome through positive contact on the basis of equality and mutual respect. However, differences in interests in relation to research is something that cannot be overcome only through contact. Difference in interests need to acknowledged and negotiated. NGOs want research to promote advocacy and policy change. This impetus often comes from the desire to stop the raw injustices they witness every day. On this basis, research is judged by being timely, communicable to the public and policy makers, being newsworthy, speaking to central policy and political debates, and crucially, changing policy or raising public awareness. For academics, research needs to meet our high standards, and the needs of our institutions. Our high standards mean that we want our methods to be thorough, conclusions to be circumspect, our limitations to be made prominent, and our research to speak to an often arcane academic literature. At the same time, academics face structural challenges. Our institutions impose requirements on our research. We need to publish in high impact academic journals, or perish. We need to contribute to generalisable knowledge—applied knowledge is disdained. We need to win internal and external grants. And our management disapprove of us causing political problems for them. Academics face structural incentives that grow out of the environment that we work in. In my experience, the solution to this clash of culture and clash of interests is firstly, acknowledgment by both sides of each others’ circumstances. Awareness and self-consciousness is to a certain extent curative. Secondly, I think we should try to operate with explicit agreements, and generally simple rules. I emphasise simplicity because, for all of us, simple rules are the easiest to remember and to put into practice. The most crucial of this is clarity of ownership. Who owns the project? During my experience with TWC2, with a few exceptions, we had no joint projects or collaborations as equal partners between TWC2 and others, including academics. Instead, all projects were either run by TWC2, with assistance from academics; or led by others, generally academics or students, with assistance from TWC2. As a result, there was clarity of ownership, responsibility, and decision-making. Equally, ownership of data was explicit, both for collaborators and volunteers. If TWC2 owns the project, then there can be no dispute that TWC2 owns all data for its projects and controls timing of publication, usage, and so on. This reduces conflict arising from research collaborations. We have enough trouble within TWC2 negotiating the politics of authoritarian society—we do not want to negotiate with external partners as well! Furthermore, with a few exceptions, TWC2 projects do not go through university Institutional Review Boards (IRBs, or ethic committees). We knowingly sacrifice the ability to present at academic conference or publish in academic journals. But we do this because IRBs take unbelievable resources, the benefits to participants are minimal, they can take up to six months, and we have burnt out multiple volunteers with IRB processes. They are also a route for censorship of research. As part of the process, IRBs flag controversial research for “institutional risk”. The third solution to this clash of cultures and interests is for us to engage in a deep discussion about what the most effective research questions and research methods to help us achieve justice for migrant workers are. The obvious question arises: how do we measure effectiveness? While this is an issue that depends on the goals and context of each research project, there are several principles we can apply. First, value policy change, because it improves people’s lives, and because it is a demonstration of the universal values and laws of our society. Social problems are rocks, and we are the rain. We have only a small impact individually, but gradually we wear down the rock. But we cannot value only policy change. The argument that we should only value policy change is the last refuge of scoundrels. As people working for social justice, we cannot be expected to see change happen overnight. To expect that you can say to a researcher or NGO volunteer “What policy change have you achieved in the last two, five, or 10 years?” is to hold them to an impossible, ridiculous standard. Imagine asking a similar question to anti-slavery activists in the 1700s or 1800s: “What policy change did you achieve in the last decade?” It is a terrible question. The question shows a failure to understand how social improvement happens. Social problems are rocks, and we are the rain. We have only a small impact individually, but gradually we wear down the rock. It is true that some changes happen quickly, but it is the rain that lays the basis in consciousness and organisation for these leaps in social justice. So how can we value the slow progress that lays the basis for policy change? We can value other products of research and campaigns for social justice. Two of these things are public awareness and movement building. How much has public understanding of these problems and issues improved because of your work? How many new volunteers have got involved? How many people are meeting, working, researching, organising for migrant worker health and health justice? These are valuable and measurable. Another focus I would suggest, for any research that aims to creative positive change, is a focus on generating evidence—stories, facts, ethnographic data—which bring the experiences and priorities of migrant workers to light. …for the powerless, their facts, their truths, their perspective on life can only be discovered with deep, hard study, and a search for inconvenient facts. Bertrand Russell wrote that the two main ways that authority in modern society controls the population is through sacking people—denying dissidents the right to employment, or at least well-paid employment—and through the biased generation of evidence. The beliefs and prejudices of the powerful appear to us as everyday truths, repeated and freely available everywhere. But for the powerless, their facts, their truths, their perspective on life can only be discovered with deep, hard study, and a search for inconvenient facts. I think the role of research for migrant health should be dedicated to transforming into facts the experiences and priorities of migrant workers. Finally, the third focus I would suggest is a focus on exposing the myths of the powerful. These delusion and myths perpetuate inequality and disempower the weak. For example: the myths that the system is fair, that there are no problems, and that nothing can be done. There is no such thing as a perfect system. Improvements can always be made. Something can always be done. It is important to remember that policy is formulated in an intellectual environment characterised by vastly differing belief systems, dramatic differences in the conception of basic facts and social processes. For those in power, these take the form of convenient delusions and myths. I think the goal of migrant health research should be—to the extent that these are delusions and myths—to collect evidence to disprove them in the public mind and the mind of policy makers. I want to illustrate these points with a story about the first migrant worker study I was involved in in Singapore. The irony is that I can say that, by most measures, I achieved more for migrant workers in Singapore in my first three days of research than I did in my next four-and-a-half years combined. In Singapore there is active and explicit collusion between private doctors and employers. The motive is simple. A company that wishes to maintain a good safety record must report few injuries to the Ministry of Manpower. However, all injuries that result in more than three days of medical leave must be reported. Private doctors collude—mostly from market pressure—by providing workers with serious injuries with two-day medical certificates (MCs). 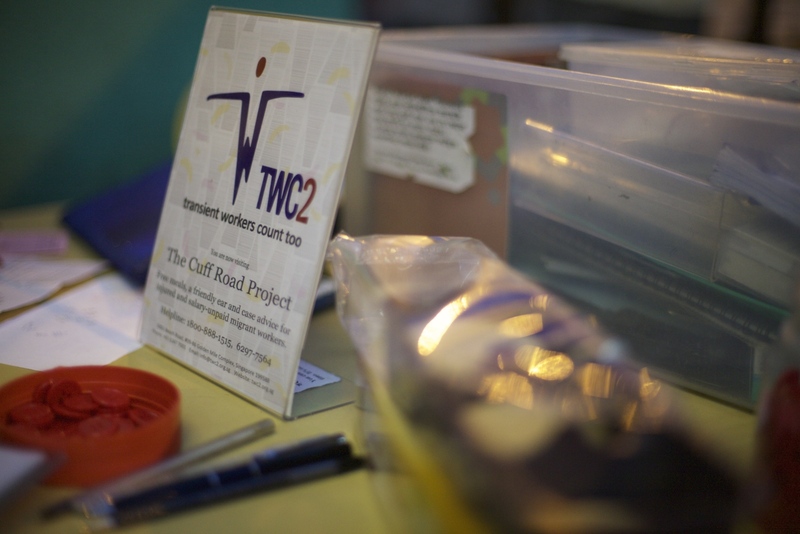 TWC2 feeds about 400-500 injured migrant workers each night—about 1,500–2,000 workers a year—of whom about 80% have run away from their employers after a workplace injury. Did you go to public hospital or private doctor first? How many days [of medical leave were you given] at the private doctor? How many [days of medical leave were you given] at the public hospital? We collated the survey that night, and gave it to a journalist at The Straits Times. It was on the front page of The Sunday Times that week. One in three workers surveyed received four days or fewer of medical leave. When those workers went to a public hospital they got, on average, 94 days of medical leave. Over the next three years, in the course of my work, I met with both the Ministry of Manpower and with employers, and in meetings with both they showed me that Straits Times article. They were furious about it. It clearly had an impact on policymakers. It was also part of a larger advocacy effort, including an important court case led by the Humanitarian Organisation for Migration Economics (HOME). This case ended up in the High Court after five years, and resulted in a doctor being suspended for six months for giving two days of medical leave for a serious hand fracture. The campaign has also resulted in multiple circulars issued by MOM warning doctors and employers to not engage in this behaviour. The collusion of private doctors and employers around medical leave, unfortunately, appears to continue. The Sunday Times‘ article, High Court case and MOM circulars were not enough to bring about major policy change—and honestly, with entrenched problems like these, it would be naïve for us to expect any different. However, I can honestly say that the three days I helped out with the research for article is the most impact I think I have had in my four-and-a-half years as a researcher and assistant to NGO advocacy in Singapore. If you enjoyed this article and would like to join our movement to create space for research, conversation, and action in Southeast Asia, please join New Naratif as a member—it’s just US$52/year (US$1/week)! “Legal penalties are, however, in the modern world, the least of the obstacles to freedom of thoughts. The two great obstacles are economic penalties and distortion of evidence. It is clear that thought is not free if the profession of certain opinions makes it impossible to earn a living. It is clear also that thought is not free if all the arguments on one side of a controversy are perpetually presented as attractively as possible, while the arguments on the other side can only be discovered by diligent search. Both these obstacles exist in every large country known to me…” Bertrand Russell, 1922, Free Thought and Official Propaganda. Conway memorial lecture, 24 March. Kindle edition. Dr. Nicholas M. Harrigan is Assistant Professor of Sociology at the School of Social Sciences at Singapore Management University. His research on low-wage migrant workers focuses on the social determinants of health, and the effect of social and economic policies on working conditions. He also researches social networks, with a focus on the statistical modelling of avoidance and conflict. Before joining SMU he was a postdoctoral researcher in Sociology at Nuffield College at the University of Oxford, and completed a PhD in Politics at the Australian National University. From January 2018 he will move to Macquarie University, Sydney as a Senior Lecturer in Sociology. Nick may be contacted at nickharrigan@gmail.com. If you are interested in getting involved in migrant worker research don't hesitate to drop him an email.